If you’re in love with the idea of a Porsche SUV but don’t love the poor fuel economy, wait a year--Porsche will have a hybrid version of the Cayenne S out for the 2011 model year, and it’s expected to get a combined 27 mpg while still delivering 374 horsepower and 6.5-second 0-60 mph times. Despite some issues with practicality, the 2010 Porsche Cayenne is a luxurious and supremely capable performer. TheCarConnection.com’s expert reviewers have compiled their own driving impressions together with a thorough search of the web’s road tests and reviews to compile a comprehensive review to help you make the best buying decision possible. The Cayenne is Porsche’s only SUV, and it’s the brand’s best-selling vehicle in North America. Such a successful recipe is worth sticking with, and accordingly Porsche has announced no updates for the 2010 model year, though two special-edition models are available: The Transsyberia S and the GTS PD Edition 3. Those models offers unique equipment and appearance packages on the standard S and GTS layouts, respectively. The 2010 Porsche Cayenne sees essentially no visual updates inside or out, with the front and rear exterior updates of 2008 and the intake/exhaust updates of 2009 carrying forward to 2010. The contoured taillamps and Turbo-specific LED versions are still characteristic of the vehicle’s styling, and the prominent lower air dam up front balances the dual exhausts out back. In base V-6 form, the 2010 Porsche Cayenne won’t easily be confused for a fast vehicle of any form. It gets to 60 mph in about 8 seconds, which is downright anemic for a Porsche-branded vehicle. 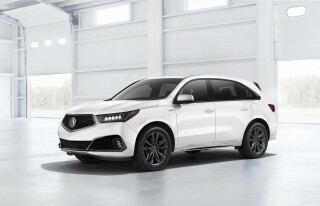 Slow response off the line is to blame for most of the sluggish times, as in-gear passing power is good with both the standard six-speed manual transmission and the more common six-speed Tiptronic automatic. Two V-8 engines are available for 2010: a 4.8-liter rated at 385 horsepower sits under the hood of the Cayenne S, while the Turbo S gets a twin-turbocharged version of the same engine rated at 500 horsepower and 516 pound-feet of torque. That much power delivers truly Porsche-like acceleration without questions, hitting 60 mph in just 4.9 seconds. 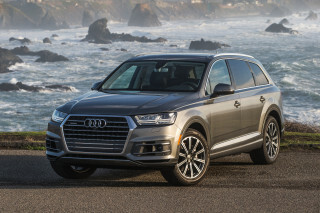 Handling is better than you’d expect for a 5,000-pound-plus SUV, with crisp steering response, though the high level of boost takes away some of the natural feel. Long, sweeping corners are dispatched with ease thanks to a solid, poised chassis. Tight, quick corners can unsettle the vehicle though, in part due to its tremendous weight. Still, equipped with either V-8 engine, there’s no shortage of fun to be had behind the wheel. Sitting behind the wheel, the visual impression is a lot like Porsche’s sports cars, with a simple instrument panel surrounded by dark, drab plastics. Despite the less-than-luxurious appearance, it’s clear and easy to read, obviating the complexity and confusion that sometimes befalls more ornate setups. Backseat passengers will find room adequate, but not excellent, and without a third-row seat, the lack of rear cargo space is all the more disappointing at 62.5 cubic feet with the seats down and 19 cubic feet with the seats up. Comfort is high thanks to a suspension that manages to balance its superb handling ability with compliance. Up front, the seats are spacious and supportive, with the driver’s seat positioned just right for spirited driving. Off-road capability isn’t what the Cayenne is all about, but it still offers enough to satisfy all but the most hard-core. Able to ford up to 19 inches of water and clear most mild-to-moderate trail obstacles, the Cayenne also employs full-time all-wheel-drive to make the most of its traction. Up to 62% of the Cayenne’s power can be sent to the rear wheels during normal conditions, but a full 100% can be sent either frontward or rearward should the need arise. The optional Porsche Dynamic Chassis Control (PDCC) system maximizes the Cayenne’s off-road capabilities by employing hyrdaulically adjustable stabilizer bars which can be effectively detached--automatically--for trail duty. Porsche’s Active Suspension Management (PASM) also boosts the Cayenne’s versatility, offering on-the-fly adjustments to suspension firmness with settings ranging from Comfort to Sport. 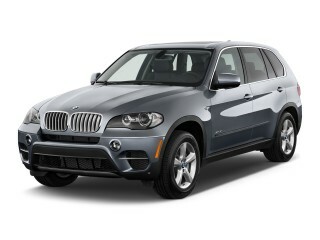 There’s no shortage of features and options available on the 2010 Cayenne, but be careful: their cost adds up quickly. 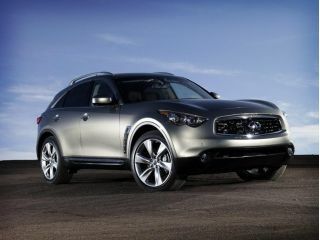 The interior can be upgraded with many types of leather seats, ranging in cost from $1,290 to $6,110. The power moonroof runs $1,190, while a Panoramic Roof System will cost $3,900. 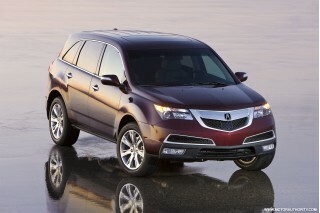 Wood trim packages can cost as much as $3,195, and the navigation will set you back $3,300. A 410-watt, 5.1-channel 14-speaker Bose Surround Sound audio system costs $1,690. Dynamic Curve Lights, which help illuminate into corners, are standard on the Turbo and optional on lower models. Neither the IIHS nor the NHTSA have crash-tested the 2010 Porsche Cayenne, but Porsche engineering and a wide selection of standard safety equipment, including front-seat side airbags, rear seat thorax side airbags and front and rear side curtain airbags, plus a bumper system with high-strength cross-members and two crush elements. The 2010 Porsche Cayenne is more attractive outside than inside, but it’s still a Porsche through and through. The 2010 Porsche Cayenne sees essentially no updates inside or out, with the front and rear exterior updates of 2008 and the intake/exhaust updates of 2009 carrying forward to 2010. The contoured taillamps and Turbo-specific LED versions are still characteristic of the vehicle’s styling, and the prominent lower air dam up front balances the dual exhausts out back. Though the 2009 updates saw the Cayenne get new styling despite a dearth of other changes, even that much seems to be out of the question for 2010, with the Cayenne in an apparent holding pattern. While the 2010 Cayenne doesn’t see much in the way of visual updates, there are a pair of special editions that add to the pack. The Transsyberia S gives the Cayenne some serious off-road flair, while the GTS Porsche Design Edition 3 gets a unique, thoroughly modern urban look. The Transsyberia S is available in four different color combos, including black, silver metallic, black with grey accents or grey with silver accents. The GTS Porsche Design Edition 3 is available only in black with black leather accented by red stitching. The 2010 Porsche Cayenne delivers on power and handling, though the manual transmissions is best skipped. 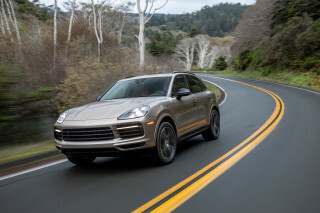 Three V-8 engines are available for 2010: a 4.8-liter rated at 385 horsepower sits under the hood of the Cayenne S, the GTS gets a 405-horsepower variant of the same engine, and the Turbo S gets a twin-turbocharged version rated at 500 horsepower and 516 pound-feet of torque. All Cayennes are all-wheel-drive. Car and Driver is pleasantly surprised to find that, on the 2010 Porsche Cayenne Turbo, "the 0-to-60-mph run takes 4.8 seconds." Even on the base Cayenne, The Detroit News reports it’s capable of that getting to “60 mph in 7.5 seconds starting from a stop,”--not shabby, but not inspiring, either. In all but the V-6 trim, the Cayenne is “fast as stink,” according to Automobile. Despite Porsche’s success with its sports car transmissions, the manual gearbox on the Cayenne frequently takes a lashing. Car and Driver calls it that "a lifeless stick that feels even more out of place because the parking brake isn't on the center console." Motor Trend writingpulls no punches, saying "the six-speed is notchy and rubbery, with long throws and an indeterminate gate, characteristics far from helpful in ensuring smooth progress." Edmunds provides a balancing viewpoint, noting that only the base Porsche Cayenne and the 2010 Porsche Cayenne GTS are even available with the manual, while the Porsche Cayenne S and Cayenne Turbo come standard with the six-speed Tiptronic automatic transmission, which is an optional upgrade on both the base and GTS. Choosing the automatic over the manual on the GTS does cost you 0.4 seconds on the 0-60 mph dash, however. The 2010 Porsche Cayenne gets predictably poor fuel economy. Official EPA estimates for the 2010 Porsche Cayenne are 14/20 mpg city and highway for the base V-6, no matter whether equipped with the manual or automatic transmission. The GTS returns an even less inspiring 13/18 mpg with the automatic transmission and 11/17 mpg with the manual. The Cayenne S rates 13 mpg city and 19 highway, and the Turbo and Turbo S both offer 12/19 mpg. There is a lot to love from the Cayenne’s suspension. Car and Driver remarks that the Cayenne’s adjustable air suspension offers “a terrific, supple, well-controlled ride in the comfort setting and a fair amount of precision in the sport setting." Almost all reviewers suggest buyers opt for the Porsche Dynamic Chassis Control system, which Kelley Blue Book says "offers advantages in counteracting body roll." The Detroit News writesfinds that when the PDDC system is on, "the body roll typically found in heavy, tall vehicles is gone." Motor Trend doesn’t precisely praise the Cayenne’s steering feel, but says that it is "less corrupted than in other all-wheel-drive SUVs." Edmunds adds that the "brakes are strong and linear." 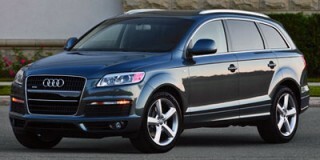 The 2010 Porsche Cayenne’s comfort and quality are high, but less plastic and more cargo space would be nice. Behind the wheel, the visual impression is a lot like Porsche’s sports cars, with a simple instrument panel surrounded by dark, drab plastics. Despite the less-than-luxurious appearance, it’s clear and easy to read, obviating the complexity and confusion that sometimes befalls more ornate setups. Backseat passengers will find room adequate, but not excellent, and without a third-row seat, the lack of rear cargo space is all the more disappointing at 62.5 cubic feet with the seats down and 19 cubic feet with the seats up. Comfort is high thanks to a suspension that manages to balance its superb handling ability with compliance. Up front, the seats are spacious and supportive, with the driver’s seat positioned just right for spirited driving. The 2010 Porsche Cayenne has what Consumer Guide calls "adequate cabin storage," but at 62.5 cubic feet with the seats down and 19 cubic feet with the seats up, cargo room, however, is tight overall. Edmunds says cargo capacity is “on the small side for a midsize luxury SUV.” ConsumerGuide calls it “good” but “"not expansive for an SUV." Material quality is excellent, however, as Kelley Blue Book notes, praising the leather that "decorates the steering wheel rim, door handles, grab handles and other areas." Consumer Guide calls the cabin materials "classy, but not opulent for this price level.” Edmunds disagrees, saying the "materials quality is superb." Opt for the optional interior upgrades and things improve dramatically: Edmundssays says "fit and finish, especially with the optional wood or metallic accent packages, is excellent." The GTS Porsche Design Edition 3 special edition takes things a step farther, adding carbon fiber trim and 21-inch wheels to the package. Custom black leather with red stitching and embossed Porsche logos on the headrests, Alcantara seat inserts and custom gauges and a serial-number plate in the glove box are also included. You won’t be pestered by high noise levels in the 2010 Cayenne, according to most reviewers. Detroit News says that even at 160 mph, “the cabin is quiet enough to hear the gasps from the back seat.” In more ordinary driving, there’s equally little noise. Consumer Guide says the Porsche Cayenne exhibits "little wind rush below 70 mph" though it emits an "appropriate exhaust growl." The 2010 Porsche Cayenne hasn't been crash tested, but it offers a wide array of high-tech safety features. The 2010 Porsche Cayenne comes standard with a wide array of safety features. Kelley Blue Book likes the Porsche Stability Management (PSM) system that’s standard on all Cayennes, noting that it "guards against rollover and increases the effectiveness of the brakes on loose and slippery surfaces." Edmunds reviewers praise the Cayenne’s long list of standard safety features, including the full complement of airbags. The only difference in standard safety features among the trim levels is that the Porsche Cayenne Turbo gets a "front- and rear-obstacle-detection system," according to Consumer Guide. 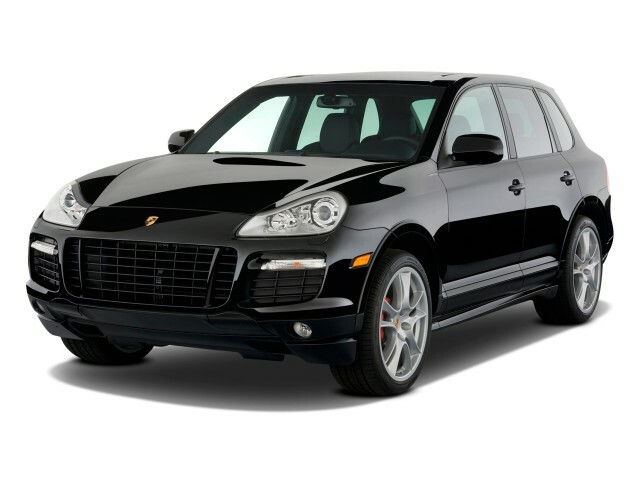 The 2010 Porsche Cayenne offers an abundance of excellent features, but they can add up to a hefty final price. Edmunds points out that the Cayenne is divided into trim levels that are “essentially defined by the powertrain fitted to each.” Accordingly even the base model has a fairly high level of standard equipment, though opting for the higher-end GTS and Turbo models opens the door even more features. For instance, the Cayenne GTS gets a standard power tilt/telescopic steering wheel and the 2010 Cayenne Turbo also adds navigation, a heated steering wheel, heated front and rear seats and a high-end Bose sound system standard. For those buying a non-Turbo Porsche Cayenne, Edmunds writesnotes that "many of the Turbo's features are available as options on the lesser trims," while "other options highlights include various wheels" and "a large four-section panoramic moonroof." Last year the Cayenne got an optional brake upgrade to Porsche Ceramic Composite Brakes, and that’s present for 2010 as well. 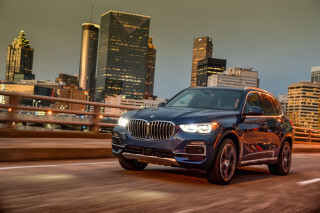 Detroit News finds no features missing when the Cayenne is well optioned, calling it “[p]ure luxury with every amenity needed.” USB and iPod capability were added last year and carry forward, while the XM Satellite Radio, navigation and Bluetooth upgrades do too. Opt for one of the two special-edition models available this year--the GTS Porsche Design Edition 3 or the Transsyberia S--and you’ll get even more standard equipment. The Porsche Design Edition 3 comes with all of what you get with the regular GTS and adds a custom interior plus a Porsche Design watch for the owner and a four-piece fitted luggage set. The Transsyberia S, limited to just 1,000 units worldwide, offers unique off-road roof lights, plus an available upgrade to a rugged off-road package with a lockable rear differential, enhanced fuel tank protection and more.